An apartment finder is a tool you would use for a fast and easy way to search for your perfect apartment of choice. One of the best apartment finder tools on the Internet can be found on LincolnApts.com. You can search for an apartment in a variety of ways depending on how you like to search! Whether you’re looking for an amenity-packed flat in Washington, D.C., or a cozy one-bedroom in Dallas, Texas, you can easily search LincolnApts.com and use our apartment finder tool to discover that perfect apartment home for you. For broad searches, our interactive map allows you to point and click your way home throughout the U.S. If you have specific search parameters, such as city or zip code, simply enter that information, hit search, and apartment communities in your desired locale will appear. Looking to rent a pet-friendly apartment with garage parking? You can search for that too! 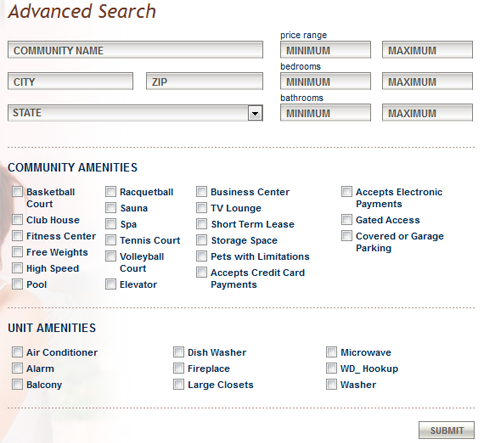 Use our Advanced Search option to search for amenities you want in your apartment community and home. LincolnApts.com even has its own Google Search Bar for the ultimate have-it-your-way search! Scroll down to the bottom of the LincolnApts.com home page to the search bar and type in words that describe your next apartment. 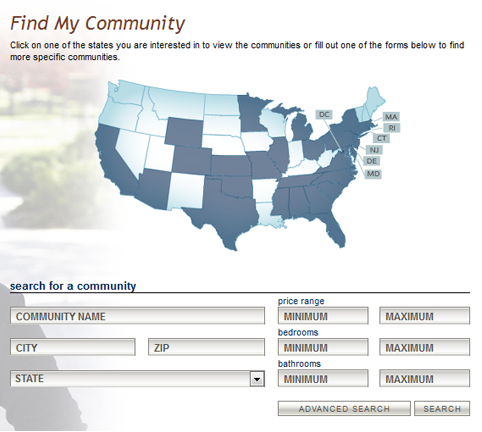 The search results will provide you with links to LPC apartment communities you can call home. In this economy people are making sure to get good deals for any of their buys. This same idea holds true when looking for an apartment to rent. Looking for an affordable apartment in your budget can sometimes be a daunting task. With LincolnApts.com apartment finder tool, you have the ability to search for apartments that fit within your apartment budget. Enter the minimum and maximum desired rent amounts, along with the number of bedrooms and bathrooms you’d like in the home, and retrieve apartment listings that fit within your budget. Affordable apartments are just around the corner! Take a look at prices, amenities, location and pictures to narrow your search. Using apartment finders will make your search a lot easier and more enjoyable. With Lincoln’s advanced apartment finder tool you will be able to enter and search for apartments in the exact area where you want to live with the exact amenities you’re looking for! Simply enter the city, state, and zip code (if you need to be that exact) and check the box next to the amenities you want. Hit search and voila! Your next apartment will be listed on the next page. With LincolnApts.com Google Search, you can search for an apartment using the words that best describe exactly what you’re looking for. Type in Denver apartments for rent and all of our awesome Denver abodes will come up. Type in Los Angeles apartments for rent and every one of our hot L.A. cribs will be listed. Apartment hunting is tedious and time-consuming. LincolnApts.com apartment finders let you search the way you want – log on today and start shopping for your next apartment home to rent! Founded in 1965, Lincoln Property Company has been impressively growing since then, with its product mix including commercial, build-to-suit, office, hotel, industrial and other mixed use assets. Lincoln prides itself on beautiful architecture, attention to detail, and only the best locations. As they started to grow, Lincoln noticed the need for experienced and professional property management. Lincoln Property Company has achieved a continuing presence in countless commercial and residential real estate markets as the fourth largest property manager in the United States, with over 130,000 apartment units currently under management!